Watching a loved one destroy themselves with an addiction has to be one of the most difficult things to endure. It can become an unbelievable burden, a challenge to navigate with grace and truth, and heart-rending sorrow. For all those reasons, and more, counseling addicts requires competent skill in helping the family and friends of substance abusers. Mark Shaw has provided a great resources for helping them navigate this difficult terrain. 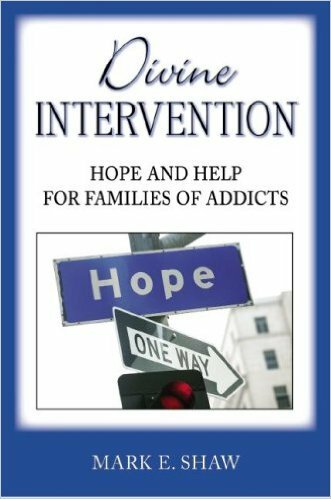 Divine Intervention: Hope and Help for Families of Addicts is a tremendous guide to navigating the important balance between control and despair. It is of absolute importance that friends and family members learn that they are not in control of their addicted loved one, but they are not without hope. This balance is hard to achieve, but Shaw’s years of experience in counseling addicts lends itself well to helping readers understand the distinction and strive to respond Biblically to the difficult circumstances in which they find themselves. Shaw has written extensively on addictions and largely for addicts. In this volume he turns his attention exclusively to the loved ones and helpers. Pastors and counselors will find as much help here as family members will, and so it is a good resource for counselors to invest in. The book is broken down into three sections, each highlighting a different dynamic in the relationship between a helper and an addict. The first section focuses on the “unwilling and unrepentant addict.” Not everyone is interested in changing their sinful behavior, and you can’t force them to change. Shaw helps readers, in this section, to understand the idolatrous nature of addiction and the need for “divine intervention.” He speaks to issues like “enabling,” confrontation, the value of temporal consequences, and the importance of “letting them go.” This will be the most difficult chapter for some to read. It is a painful admission of our human inability to fix things. Only God can rescue the unrepentant, but thankful there are things we can do to encourage their repentance. The second division focuses on the “willing and repentant addict.” Some addicts come to terms with their need for help, and Shaw walks readers next through this dynamic. Here he distinguishes between discipleship and treatment, explores the value of a “trusted Christian friend,” and explores the need for a concrete plan for change. Finally, his third division highlights the lessons that a helper will need to learn in the process. All throughout the book he is walking the fine line between attempting to control and surrendering to hopelessness, but here he spells it out in detail. He explores what it looks like to try to control and explains the futility and sinfulness of such an approach. He points to the helper’s need to repent of sins and trust Christ as well. In this regard it is a phenomenal help for helpers. As with most of his books, the appendices are as helpful as the general content of the chapters. Shaw gives readers as much help, worksheets or guides, and reflections for further thought on specifically the gospel. Readers will not simply engage in the content, but will do good self-evaluative work for the sake of growth. The truth is that the process of loving and trying to care for an addict is arduous. Helpers need help not just in caring well, but in growing through the pain of betrayal, rejection, and surrender. Divine Intervention is the resource to help helpers. Without falling into either naive optimism or pessimism the book is hopeful but realistic. I greatly appreciated this resource and highly commend it to others, both counselors and family members of addicts.